Starting a health and wellness blog can be a real challenge. Are you looking to impact the lives of others with your writing? You totally can! Here are some tips to jumpstart you on your own path to becoming a successful health and wellness blogger. My journey to become a coach, author, and blogger started in mid-2015. I was completely burnt out at my corporate fashion job and knew that I wanted to make an impact on the lives of others with my work. Like many, it was my own personal journey that inspired me. As a recovering people-pleaser, I had finally started to take back control of my life. I enrolled as a student at the Institute for Integrative Nutrition and focused my attention on learning new nutritional theories and a holistic perspective. My coaching business continued to grow and I found myself loving the process of writing. Between blog posts and weekly newsletters, I felt like I had finally found my voice. In 2016, I published my first book, Boundaries with Soul. Today, my work is solely focused on holistic self-care. I support women in learning how to create soulful boundaries and get in touch with their loving No. My words have been featured on outlets such as Hello Giggles, Bustle, and Elite Daily as I continue to grow and expand my audience. This process has been nothing short of exhausting, but it has been so rewarding. Check out my four tips below to get started on your blog! This is the most important step when learning how to start a health and wellness blog. Learning more about the audience you’re speaking to aka your niche is a crucial step. If you’re talking to everyone, you’re talking to no one. Getting specific with your targeted audience can seem scary, but I believe it’s really the key to success. I can’t tell you the number of times I’ve seen a blogger with an extremely vague website talking about nutrition. Why would people pick your website out of the thousands available on Google? The answer: you have to be solving a specific problem they have. That will make your work not only stand out, but it will resonate with them on a much higher level. They will feel like you’re in their mind and a relationship will begin to form. For me, my target is women who are completely burnt out by always giving too much to others. They ignore their own needs and begin to get frustrated, filled with resentment, and find themselves pretty unhappy. Okay, this part can be a bit confusing, but I promise it’s easy! Once you’ve decided on who your audience is, it’s time to secure your domain name. 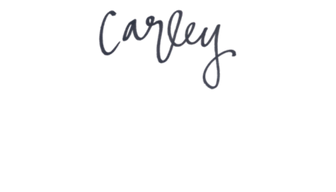 Personally, I started with www.coachingbycarley.com but switched it to www.carleyschweet.com after a few years. The reason I moved it to my name was that, at the time, I was branching out and doing more than just coaching. I didn’t want to end up pigeon-holing myself or confusing my audience. Additionally, the domain name has to be unique and should have one or two keywords in it (mine doesn’t…oops!). Above all, it should represent the blog accurately. When it comes to actually registering your domain, you can do this in several places such as GoDaddy and Google Domain (part of the GSuite platform). Okay, this might get a little nerdy, but this step is very important! There are platforms like wordpress.com, which you can sign up for and start blogging. Or you can sign up with a hosting plan from GoDaddy or Bluehost and install Wordpress there. I’ve used GoDaddy in past and found the site was very slow, so I decided to change my host. Since I use Wordpress, I upgraded to WPEngine from GoDaddy to host my blog. It is more expensive, but the performance is very fast and I’m happy with it so far. I can now quickly edit my blog posts and make changes on the backend without the delay I was experiencing before. STEP 4: WRITE, EDIT, AND PUBLISH! Since I started writing my blog, it’s taken a bit for me to establish a good rhythm for writing and publishing consistently. Figure out how many times per week you’d like to publish and then select which day/days you’ll put your posts live. Personally, I publish on Tuesday’s and Thursday’s because that’s what works for me! Before I switched to WPEngine, I was constantly getting frustrated with how slow the backend of my Wordpress was. It took me forever to create and edit my blog posts. Now, I can draft multiple blog posts in one sitting and not want to throw my computer against the wall. As a health and wellness professional, I know your time is valuable and can quickly can filled up with other commitments. Making sure you have a scheduled process is non-negotiable for creating a successful blogging rhythm! Other than the four important steps above, a lot of people never start writing because they don’t know where to start! Coming up with ideas for content isn’t always easy. In fact, so many people quit blogging because they can’t think of anything or feel like no one is interested in what they have to say! That’s not true, I promise. Your audience wants to hear from you. Think of seasonality – what are people searching for this time of year? What are you feeling passionate about right now? Okay, so you wrote a blog post – now what? Share away! Posting your post on social media is a great way to spread the word about your work and get traffic to your site. Don’t feel like you have to be a master of all forms of social media. Pick one or two that you know your audience hangs out on and stick to those! Plus, make sure you’re having fun while using it! I also make sure to send out my most recent blog post at the bottom of my weekly email series. This keeps people in the loop of what’s going on! What questions do you have about getting started? What’s holding you back from starting your blog?